Call us today for more information on our funeral service. Are you looking for a funeral home in the South San Francisco area to assist you with arrangements during this difficult time? Are you looking to pre-plan your funeral service to ease the burden on your family while they are grieving? Garden Chapel can help you with all this and more. Give us a call for more information about cremation service and other burial options. The arrangements for a funeral service required when your loved one passes can be overwhelming and burdensome. When you are overwhelmed with the preparation of them, there is only one funeral home to choose. Garden Chapel, in South San Francisco, is here to serve families from throughout the San Francisco Bay Area during their time of need. Since 1970, we have been dedicated to providing personal funeral and cremation services to the San Francisco area, that help each family create a celebration of life for their loved ones. Our funeral home is open to people of all faiths, creeds, and beliefs. It can be a very difficult time to have to choose a funeral home after losing a loved one. Garden Chapel takes pride in helping you through this tough time by assisting you plan a funeral service for your lost loved one. We offer a wide variety of funeral services, including cremation service for the San Francisco area. No matter what your loved one’s last wishes are, we strive to deliver a funeral service that will honor their memory as you and they would have wanted. Many people choose cremation service opposed to a traditional burial. A cremation service is a gracious way to honor a loved one that is not as costly as traditional burial options. The act of cremation can be done before or after a memorial service. The family can decide whether to have a traditional casket before a cremation or to hold the memorial service in which the urn is displayed. After the funeral service, it is the family's choice regarding what to do with their loved one. You can choose to bring them home and display them, scatter their ashes in a meaningful location, or place the ashes at a burial site. For more information about our cremation service or any of our other funeral home services, feel free to get in touch with us today. Are you looking for the best possible funeral service to celebrate the memory of your lost loved one? At the Garden Chapel, our caring and experienced funeral home staff will work with you to ensure all requests are followed accordingly. We strive to deliver a proper funeral service with genuine care, heartfelt concern, and the highest level of personal attention. As a funeral home, we believe in our job as having two parts: physical and emotional. The physical being burials, cremations, and more. The emotional is working with families to design healing experiences. The peaceful and intimate setting at Garden Chapel becomes a place where people find closure, renewal, and togetherness in the South San Francisco area. We invite you to explore our funeral home services to learn the unique ways in which a life can be celebrated. Our funeral home counselors are able to speak in English, Spanish, and Chinese. At Garden Chapel, we have several years of experience providing guidance and counsel to grieving family members and friends. Give us a call today and we'll provide you a funeral service or cremation service that celebrates the life of your lost loved one today. Garden Chapel is committed to providing affordable funeral services to the bereaved. Honoring a loved one can become a financial endeavor of its own. Our funeral home provides loving and compassionate services at a reasonable cost. Remembrance is an honor that all people should enjoy. If you live in the South San Francisco area and need to plan a funeral service, we have you covered. Our professionals at Garden Chapel offer compassionate services to relieve your burden as you are mourning your loss. We can help make the arrangements from start to finish, and over the years we have helped countless families. We provide personalized services to honor your loved one. Contact us today if you need to plan a funeral service. Our funeral home is conveniently located in South San Francisco, giving us unparalleled access to the Cemeteries of Colma and much of the Bay Area. Our dedication to providing compassionate funeral service and cremation services is unmatched. We strive to create a lasting and honorable final tribute for your loved one. For a funeral home in San Francisco that will give you quality service your loved one deserves, give the professionals at Garden Chapel a call. 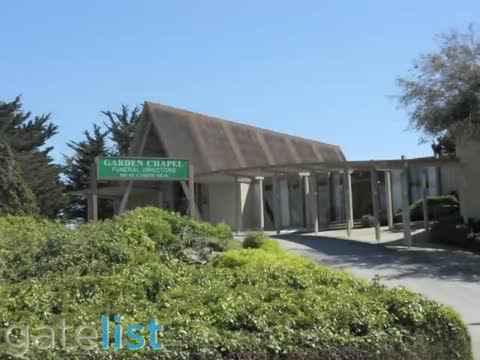 The Garden Chapel in South San Francisco provides Funeral and Cremation Services to people of all faiths. Our dedicated and professional team works with the bereaved to pay proper tribute to the deceased. We strive to be sensitive and empathetic to every family we serve. Let us help you commemorate your loved one’s life.